What inspires a breakthrough collection? 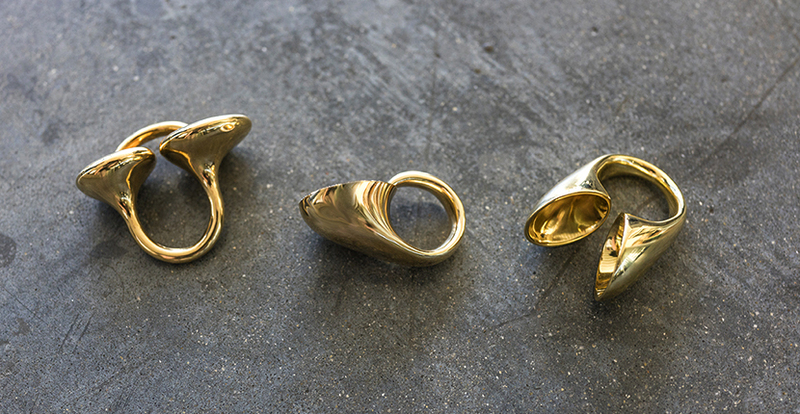 In the case of Vram, a Los Angeles based jewelry designer who goes by his first name only, it’s love, life and art. To be more specific, when the newlywed’s wife, Sevane, became pregnant, it got Vram to thinking about a rebirth of sorts. He wanted to express his passion for sculpture, especially the work of Brancusi and Henry Moore, in his first gold collection. Vram knew just how to execute his concepts. 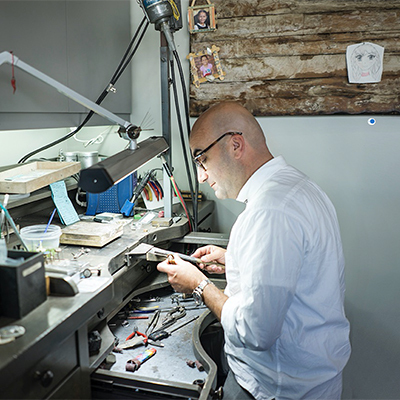 He had learned every angle of creating jewelry over his thirty-year career. After college, he studied traditional design techniques at the Gemological Institute of America (GIA) in California where he emigrated from Paris by way of Beirut. Next he went into classical wax model making. Finally, he became a master craftsman. With all his skills, Vram built a successful bridal collection of spectacular rings with special diamond and colored stone jewels in the mix. The new gold designs are unlike anything Vram has done before. For a fourteen-month development period, he worked with his team of craftsmen in his Los Angeles based studio refining the voluminous forms. Sections of each piece that would receive shiny or matte finishes were carefully considered. 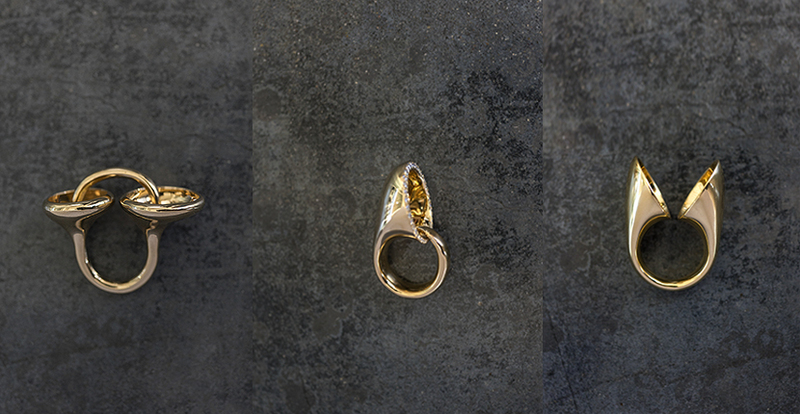 The sculptural integrity of the rings was perfected. There are no seams or edges whatsoever on the smooth surfaces.